Realtors, homeowners and real estate investors use our refinishing services to quickly and inexpensively increase the value of homes and other properties. Refinishing is a cost effective solution to give a quick and beautiful upgrade to any kitchen or bathroom. Whether you are trying to sell a space, or looking to buy, refinishing can give any bathroom or kitchen a whole new look without the mess or costs of remodeling. Bathtubs, tile, sinks, vanities, and kitchen countertops look brand new, without the cost and time that removal and replacement take. Buyers can easily fix up a new home without paying thousands of dollars or doing any of the work, or sellers can quickly increase the value of their home. 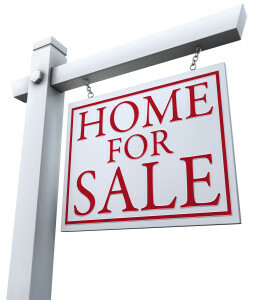 As a real estate agent, you know how important the bathroom and kitchen are in the sale of a property. Refinishing is the cost effective solution to selling a home with an outdated kitchen or a ugly bathroom. Realtors can make a commitment to saving clients’ money and time by using our refinishing services. Whether a home has dull, chipped, cracked or pitted surfaces that need to be redone, or a bathroom that is just in need of some updating or a color change – Epic Tub & Tile Refinishing is the affordable way to quickly and inexpensively update any bathroom or kitchen. Our reglazing process can fix or update tubs, tile, sinks, showers, vanities and kitchen countertops. We even offer an affordable fix for cracked fiberglass tub and shower enclosures. You’ll be surprised just how inexpensive it can be to have that needed edge over the competition.